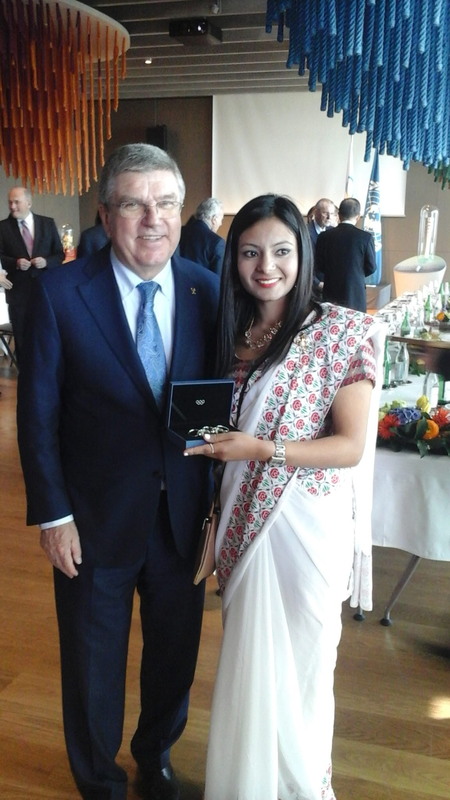 GENEVA, Switzerland (May 11, 2016) -In the presence of the Olympic flame, a taekwondo athlete from Nepal has been invited to address the United Nations Office at Geneva, Switzerland during an event attended by dignitaries including UN Secretary General Ban Ki-moon and IOC President Thomas Bach. Romee Giri, 23, a Nepalese alumni of the United Nations Office on Sport for Development and Peace’s Youth Leadership Program, was invited to speak at a ceremony on April 29, 2016 to commemorate the International Day of Sport for Development and Peace and the presentation of the Olympic Cup Award to the UN. Referring to the April 25, 2015 earthquake that left her country in ruins, Giri said she was “stunned and shocked by the tragic loss of life and property.” She praised the World Taekwondo Federation for its contribution of financial aid and materials: the organization has been running a pilot program for the nascent Taekwondo Humanitarian Foundation since the beginning of 2016. “That is how international collaboration can work for development and peace via sports,” Giri said. 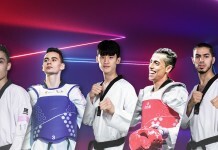 Last year Gi ri attended the 14th United Nations Young Leadership Program in Japan, which she called “the turning point of my sports career.” As a result, she has been working with disabled athletes through the Nepal Taekwondo Association’s para-taekwondo body. Her speech was part of an event that took place during the Olympic Flame’s stopover at the United Nations Offices in Geneva en route to its final destination, Rio de Janeiro. 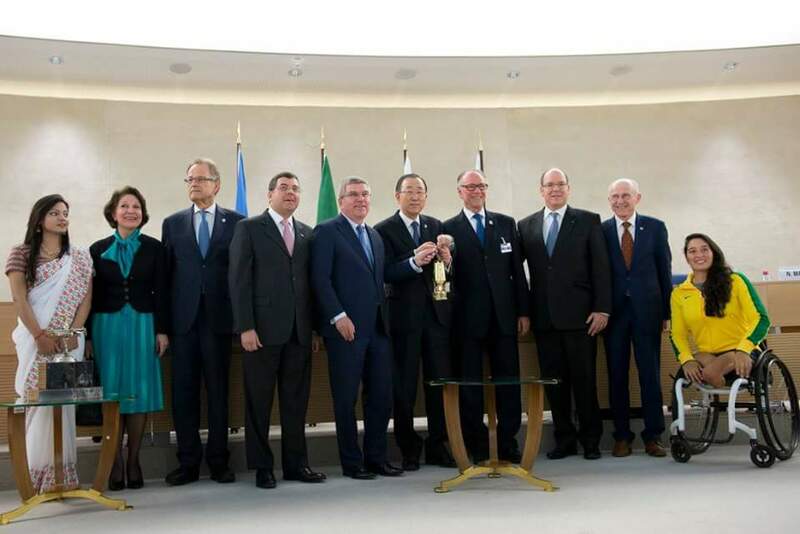 At the same ceremony, the IOC’s Bach presented the Olympic Cup to the UN’s Ban, who accepted the award on behalf of his organization. The International Day of Sport for Development and Peace is normally celebrated on April 6 to highlight the positive influence sport can have on the advancement of human rights, and social and economic development. This year’s commemoration in Geneva was timed to coincide with the Olympic Flame’s arrival in Switzerland.